As Christians we believe that a loving relationship is a gift from God, and can be a source of human flourishing and a means of grace. Many people seek the blessing of a loving God as they make promises to each other, and start their married life together. At St Margaret Pattens we are able to solemnise Matrimony with a full and formal service, and to register it legally. 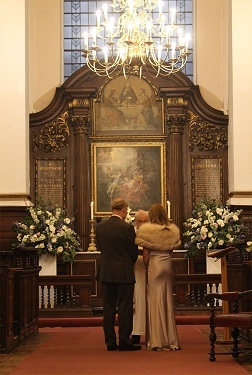 Marriage is regulated by the State and by the Church of England, and it is necessary to enquire about eligibility. Please contact the Administrator and the Associate Vicar if you would like to discuss Weddings.